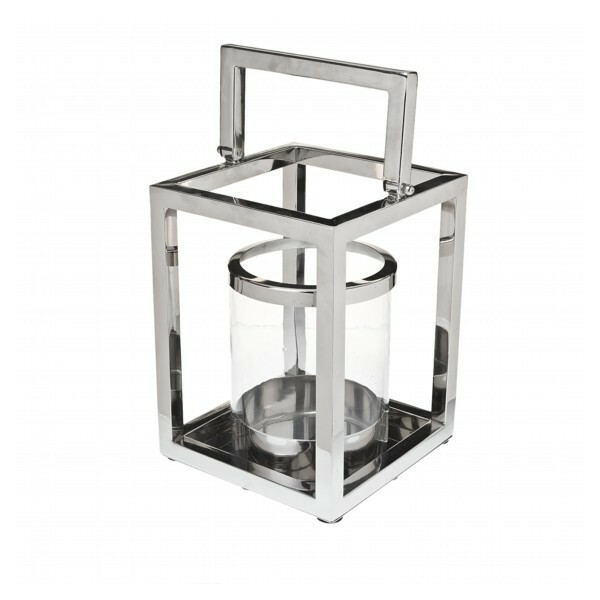 Highly polished chrome square lantern with glass cylinder (dia approx. 17cm) with matching chrome ring. D 23cm. W 23cm H 32cm or 43cm with handle in upright position. Beautiful addition to any garden or conservatory, large lantern ideal for a chunky church candle or a selection of smaller candles ( not included). Handle folds flat against top of frame. Beautiful outside on a balmy summers evening, remember to bring inside at the end of the evenng though! 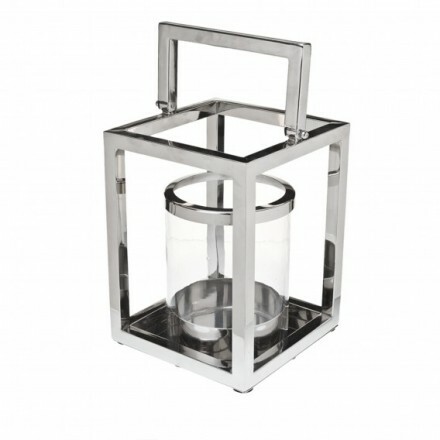 why not match withour smaller lantern in the same polished chrome effect for an eclectic look. D 23cm (9inches), W 23cm H 32cm (12.5 inches)or 43cm (17inches) with handle in upright position.